Now, first things first, we’d like to review the results of our last week’s forecasts and recommendations. Overall, over the past week Bitcoin was in a sideways trend (flat). 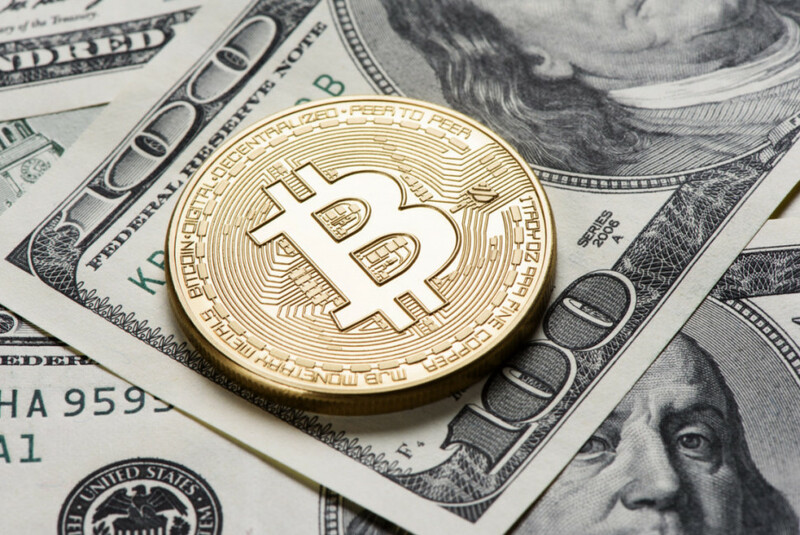 Bitcoin was growing at the beginning of the week and achieved the highest value of $5,490 on Wednesday, then declined abruptly to $4,950, and then continued to grow, and is growing now. Therefore, the overall recommendation to trade Bitcoin upwards during the past week has proved to be correct. Based on our recommendation, the maximum upside potential was 47.8% (assuming a 1:10 leverage is applied). Note that the short-term retracement can occur at any time. It is an integral component of trend, and does not change the overall trend direction. For the week ahead, our last week’s recommendation remains valid. We confirm that our view of Bitcoin’s future trend remains positive over the medium-term. Let’s now review in more details this week’s forecast based on technical indicators and chart patterns. On a daily timeframe for BTC/USD, technical analysis tools generate an upward trend signal. The indicators of trend such as quick and slow moving averages, confirm that the medium-term trend is upwards. Chart patterns, including trendlines and trend channels, also generate an upward trend recommendation. The overall market sentiment for Bitcoin is positive. Market volatility is moderately increasing, the trend in Bitcoin Network’s fundamental characteristics is positive, and the overall impact of lates crypto news and developments is also positive. The concept of trend is the most important aspect of technical analysis. Therefore, first of all we are going to discuss the direction of the medium-term trend for Bitcoin, and then will take a closer look on short-term volatility. We define medium-term trend as the one, which is expected to persist for at least one month into the future. To identify the trend for Bitcoin, we apply a 30-day exponential moving average to a daily (D1) chart. At the time of this analysis, the EMA(30) is growing (is upward sloping). This signal from the slow EMA means that the medium-term trend is upward. Traders should consider taking long positions in BTC/USD over the week ahead. A quick moving average, EMA(7), is growing as well, but the difference between the two moving averages - the EMA(30) and EMA(7) - is contracting (MACD indicator is decreasing). This implies that the upward trend is decelerating. Nonetheless, the overall trend up remains strong, and there are no signals of a possible trend reversal currently. Overall, the analysis of trend confirms that now might be a good time to enter long in BTC/USD. Based on the analysis of the Bitcoin price chart, this cryptocurrency is experiencing an upward trend. We define an upward trend as a price consistently making higher highs and higher lows on a daily timeframe. As can be seen from the chart below, there is an ascending trend channel on a daily timeframe. There are two parallel uptrend lines connecting the lows and the highs of the price chart. In technical analysis, trend channel is a dominant pattern in terms of its forecasting ability. This particular channel approximates the current trend reasonably well and indicates that the Bitcoin’s trend direction is upwards. Most probably, the price will be increasing within the bounds of this channel over the medium-term and reach the upper trendline at $6,000. Therefore, the take-profit target for buy orders should be placed at $6,000. To limit potential losses for long positions, we recommend placing SL order at $4,800 or lower. 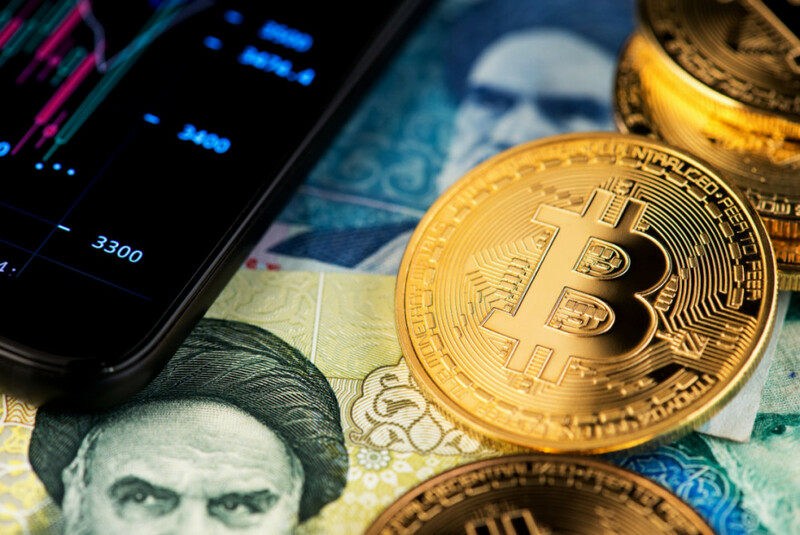 Overall, we do not expect any significant changes in volatility or trend direction for Bitcoin, and believe that the recent price behavior will continue over the medium-term. Oscillators are essential indicators for identifying the correct timing of market entry and exit points. In the next paragraph, we discuss the current technical position of the Stochastic oscillator (5,3,3). The Stoch(5,3,3), plotted on a daily timeframe, did not achieved an overbought range yet. The main line is moving above the signal line and is growing. This technically means that the short-term correction downwards is NOT probable and reinforces the overall recommendation of the upward trend. 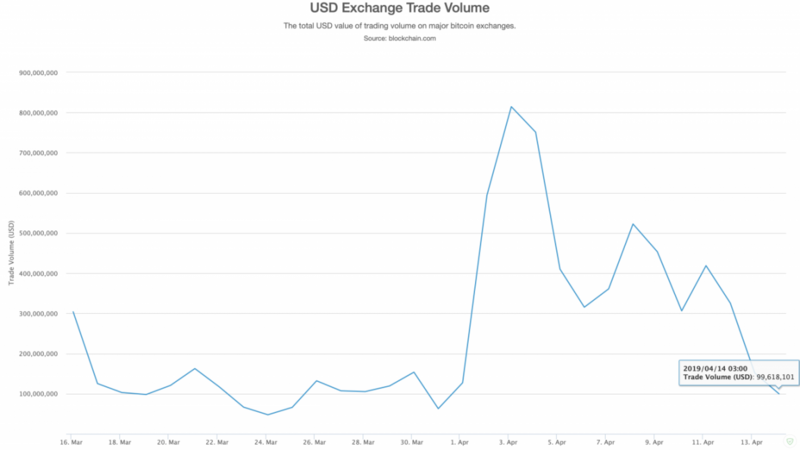 The total USD value of trading volume on major bitcoin exchanges has declined to its $100 million per day, which is almost 5x lower than a week before. We, as technical analysts, consider volume information to be very important and recognize that a decrease in volumes implies a possible decline in volatility and a deceleration of trend. Nonetheless, technically the trend remains upward and we reaffirm our positive recommendation for Bitcoin.